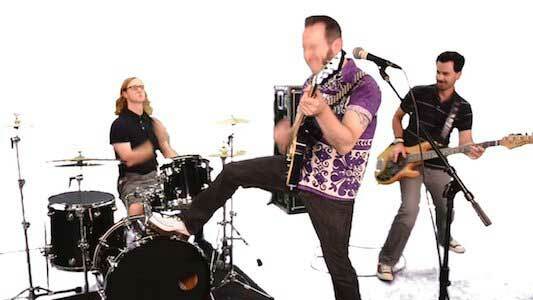 Reel Big Fish is an American ska band that has had a relatively long career for being self-titled “one hit wonders”. The band has been going strong since 1992, and amongst numerous line-up changes and going independent, have released a steady stream of music outside of their one hit, “Sell Out”. Their other successful songs include “Take On Me”, “Where Have You Been”, “Monkey Man”, and “Talkin’ ‘Bout A Revolution”. The song “Brown Eyed Girl” was released in 2009 off the band’s cover album Fame, Fortune, and Fornication, which also includes covers of “Won’t Back Down” and “The Long Run”. 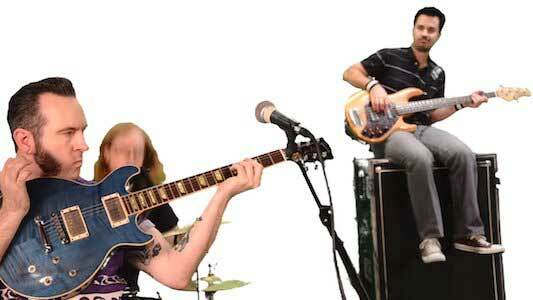 Bassist Derek Gibbs wears black chucks in the “Brown Eyed Girl” music video and is featured prominently. This track is actually a cover of the Van Morrison classic that was released in 1967, translated into ska. The lyrics are from the point of view of a man who longs for the relationship he used to have with a woman. She was his one, and the times he had with her are the best of his life. The Reel Big Fish version is much more bouncy than the Morrison version, and it is punctuated by the addition of a horn section. The horn section really comes into play when the song reaches the chorus as they sync up with the “La-La-La” portion of the song. Aaron Bennett’s vocals are a perfect fit for ska, and suit the song as well. The song itself actually translates very well to ska music, and doesn’t feel like a forced cover. The message of the song is still easily felt, and it is also still recognizable because of the iconic chorus. Saxophonist Matt Appleton skanks in his black chucks. 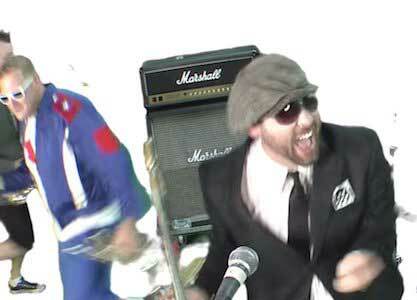 The music video starts out with the band playing the song in front of a green screen dressed in your typical ska outfits: cargo’s, suit jackets, and chucks. We see that saxophonist Matt Appleton and bassist Derek Gibbs are both wearing pairs of black chucks with Gibbs being seen more prominently, as he spends most of the music video sitting on top of an amp behind lead singer Aaron Barrett. The video seems pretty standard for the majority of its runtime. There’s skanking, shots of rising horns, and a lot of bouncing, However, things take a turn as the song gets to the instrumental break. That’s when the green screen gets put into use as the background becomes a colorful mishmash of shapes and movement, and the band goes from wearing their everyday attire to dressing in drag. They become the brown eyed girl they’re currently reminiscing over, which is a funny twist. Overall, it’s a perfectly fine video that works well with the song, and allows Reel Big Fish to put their own humorous spin on an old classic. Kicking a drum is always a good sign that you’re in a band.